I’ve been practicing martial arts as far back as I can remember. As a geeky kid, I got bullied a lot in grade school. My dad enrolled me in Karate classes and I’ve been hooked ever since by what is, for me, the most intellectually-stimulating sport in the world. In around thirty years of training, I’ve done Karate, Tae Kwon Do, Kali/Arnis, Aikido, Judo, Boxing, Wrestling, Jiu Jitsu, and Muay Thai. Also, it’s now my seventh year of running a company. It started as just a two-man Java & Agile training firm with my business partner Butch Landingin, with practically no capital. Now it’s a 130-strong consulting firm with a clientele of the some of the largest companies in the world, and some of the top software professionals in the country. Looking back at my struggles in starting the company, I can see a lot of parallels between running a startup and the martial arts. In the ring, your technique, speed and strength are useless once you run out of breath. After that you’re a sitting duck. In business, your endurance is your cashflow. You might have a unique product, be the darling of the media, have rapid customer acquisition, or even a growing amount of billings. If you’re not able to pace yourself to fit your inflow of cash, or if you’re not able to collect on billings fast enough, that’s the end of your business. In MMA, a coach would say, “don’t play his game, make him play your game”. A wrestler shouldn’t try to trade blows with a kickboxer, and instead try to take the kickboxer to the ground where strikes will be ineffective. Likewise, a kickboxer will try to keep the fight standing up against a wrestler. There’s a tendency to undervalue one’s unique strengths. Instead, define and cultivate your strengths and formulate a strategy around them. Make the world play your game, not the other way around. A good coach always reminds his fighter to jab and feint constantly. This is to probe the reactions of the opponent. Rushing in with a fixed plan in mind at the beginning of a fight is a good way to get knocked-out or submitted. The Lean Startup movement considers every part of a business plan as a hypothesis needing to be validated. Spending a lot of time and money on wrong assumptions can leave you with no room to adjust your business plan. Go out and talk to potential customers to find out what they really want. Create low-cost internet ads even if you haven’t built your product yet, just to find out what features people want and what price they’re willing to pay. Release a product that has only a minimal set of features, then ask customers what other features they want so that you have a better idea of which features are worth building. I’ve gotten in the ring and the fear of getting hurt has kept me from executing my game. I’ve also gotten in the ring flush with overconfidence and aggression that I spent all my energy in the first minute. Running a startup is an emotional roller coaster, and both the highs and the lows can distract you from doing your job properly. Maybe you’re worried about how to meet payroll next week, but collect yourself before facing customers or they won’t buy from you. Maybe you’re thrilled that a venture capitalist is interested in your company, but don’t spend all of the next month on presentations and due diligence requirements and forget your customers and employees who need you for the day-to-day work. 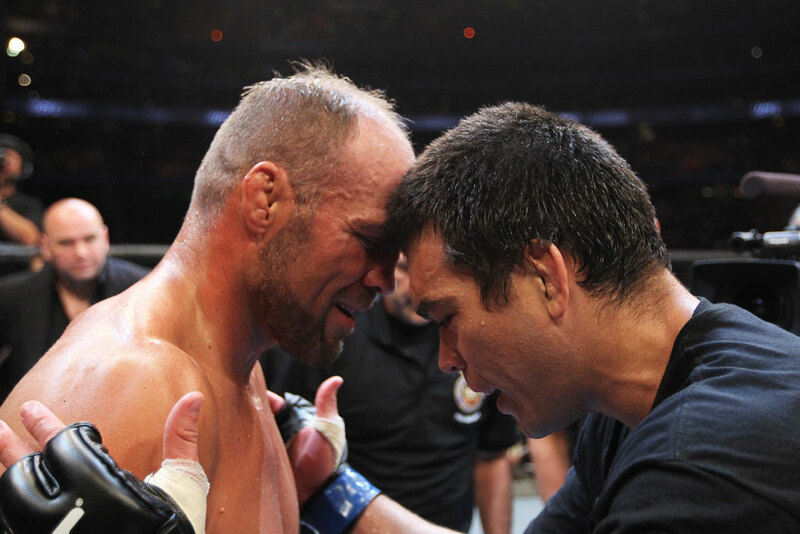 There’s been a lot of trash talk in MMA lately, but you know it’s mostly for show, since most trash-talking competitors show great respect for each other after the fight. The martial arts is still well-grounded in mutual respect. Cultivating goodwill in the martial arts community is valuable since your peers allow you to train with them and exchange techniques. Many of the top fighters in MMA do their rounds training with various camps. The media like to play up company rivalries - patent suits, executive poaching, cutthroat marketing campaigns... but behind the scenes is a community of businesspeople with a mutual personal respect for one another. When a Coke employee tried to sell the Coke formula to Pepsi, the Pepsi executives declined the offer and informed Coke. Steve Jobs and Eric Schmidt had been seen having coffee with each other when they were CEOs of bitter rivals Apple and Google. My own experience in the Philippine software industry is a community of business people with a sincere desire to give back to the country - through collaboration in helping the academe, in marketing the country, in lobbying the government... - even as we compete fiercely with one another for clients and recruits. There is such great value in maintaining goodwill. I have always received help in one way or another from my peers in the industry, without expecting anything in return. Sometimes it’s just a little bit of advice. Sometimes they even send business my way! On the other hand, I have seen people in my industry try to build companies while holding real contempt for their fellow businessmen. For various reasons, most of these companies don't succeed as far as they'd hoped, and many don't last. Work ethic, strategic thinking, and a strong culture of respect are some of the values in competitive MMA that are just as important in the world of startups. MMA isn’t for everyone, but if you’re an entrepreneur or aspiring entrepreneur that’s interested in trying it out, there’s a lot important things you can pick up from the MMA culture. On the other hand, if you’re already a competitive MMA fighter, you might consider trying your hand at entrepreneurship! The values you’ve learned in the fight world carry well into the business world.